Changes to Apple’s review guidelines in early 2018 require mobile event app owners to publish branded event apps to the App Store under their own Apple Developer Accounts. Attendify users will still build and manage their event apps through Attendify’s Hub, and Attendify will still handle submitting the event app under your account. This change may seem daunting, but as always, Attendify has you covered! 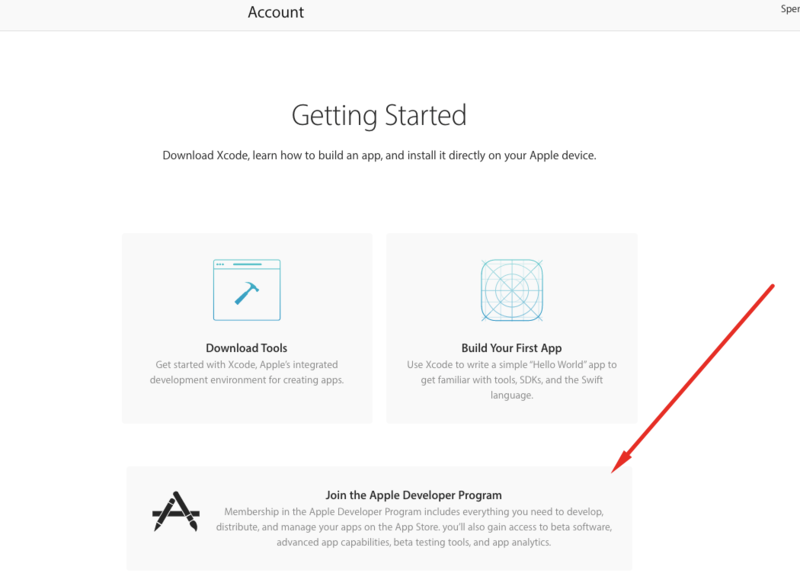 Below are the steps you need to take in order to create your own Apple Developer Account. If you need further assistance, please feel free to reach out to our support team via chat on any Attendify webpage or email us at support@attendify.com. Let’s get started! An Apple ID is required to use Apple Services. Click here to create your Apple ID, as you will not be able to proceed until this step is done. Please keep in mind the Apple Developer account is $99/year. Some Nonprofit organizations qualify to have this fee waived by Apple. See if your Nonprofit is eligible here. Next, you need to enroll in the Apple Developer Program as an organization. You’ll need your Apple ID as well as a D-U-N-S number. You can acquire a D-U-N-S number here. By joining the Apple Developer program you will enter into contracts with Apple, so you must have the ability to enter legal agreements on behalf of your organization. To start enrollment for the Apple Developer Program visit this page and login to the developer section with your Apple ID. After logging in, you will be prompted to accept the Apple Developer Agreement in order to proceed. Next, you will select “Join the Apple Developer Program”. On the bottom of the next page, select the “start your enrollment” option. Proceed to the next screen and page fill out your organization’s information, agree to the legal agreements and then select the purchase button. That’s it! You now have a fully functioning Developer account with Apple. Two invitations are required to grant Attendify the access we need to publish an app on your behalf. From the Apple Developer console navigate to People > Invitations. Send the Attendify Team an invitation with Admin rights. The invitation should be addressed to First name: Attendify; Last Name: Team; Email: developers@kitapps.com. Please note that you can revoke Attendify’s access to your developer account at any time. Navigate to https://itunesconnect.apple.com and log in with your Apple ID credentials. Once logged in, click on ‘Users and Roles’. Click on the ‘+’ sign to add a new user. Next, you will send the second invitation to the Attendify Team. Enter the user information for this new account: First name: Attendify; Last Name: Team; and use the email address provided by your account manager, then click “Next”. *The email address you should enter will begin with “Apps” followed by a number, please check your email communication with your account manager. Please email your account manager or support@attendify.com if you do not have this “Apps” email address. Assign permissions to this new user. Select the Admin role by checking the box next to it. This permission will allow Attendify to publish the app on your behalf. The Attendify Team will not be able to publish the app for you without the Admin role assigned. Click Next. In the next section, you are asked to edit the notification settings for this account. You can leave the default values as they are, then click Save. You will then be taken back to the Users and Roles overview. The email invitation has been sent to the Attendify Team email address you entered earlier. The invitation will be accepted by the Attendify Team. The last step is to email Attendify’s Support Team (support@attendify.com), if you know your account manager’s name, please feel free to copy them. Your App ID (found on the Attendify dashboard). The name you chose for your Apple Developer Account. To locate the name, log into your Apple’s Developer account and proceed to the Overview section in the top left corner of the screen. The developer name will be in all capital letters. The email address associated with your Apple Developer Account. Let us know what you want to be displayed as the ‘publisher’s name’ in the App Store. A publisher’s name is a unique name that is displayed underneath the app name in the App Store. Please note the publisher’s name cannot be changed in the future. Confirmation that you invited Attendify to the Apple Developer Console (with admin rights) and iTunes Connect (with admin rights). That’s it, we’ll take it from there! A member of our team will be in touch to let you know as soon as your app is submitted.